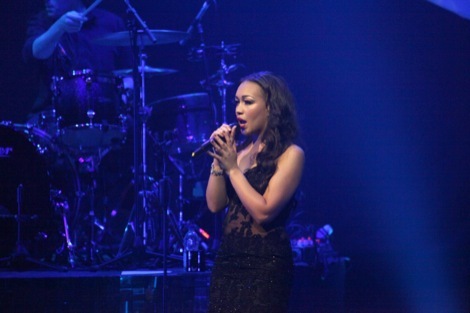 X Factor runner-up Rebecca Ferguson returns to Liverpool on her debut UK tour out to prove that she’s the real deal. It’s ironic that for all Rebecca Ferguson‘s talk of keeping things real, she was borne out of the most manufactured environment of them all. Throughout her 65 minute, major live debut in Liverpool she reminds us of the real things in life – family and love – and how easy it is to ‘get lost in the things which aren’t important‘. Ironic, indeed, given that the reserved Anfield mum-of-two was runner-up to Matt Cardle in 2010’s X Factor; the biggest soap opera in the UK entertainment industry. As with all reality-based entertainment, X Factor thrives on the puppets playing up to the drama within Simon Cowell‘s theatre, before usually disappearing into the sunset when the series spotlights fade to black. 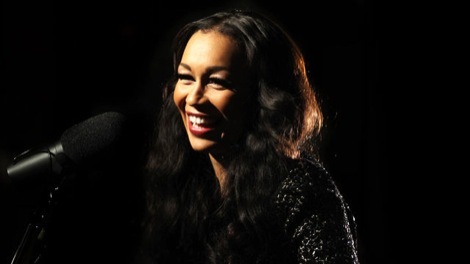 Yet, while the chancers, also-rans and Frankie Cocaine-nose-jobs invariably fritter what light remains in the gossip columns of the red tops, Rebecca Ferguson has quietly landed herself a major label deal and turned round a self-penned debut which peaked inside the UK album chart at number 3. Fine, yet quietly assured. Just like the lady herself. 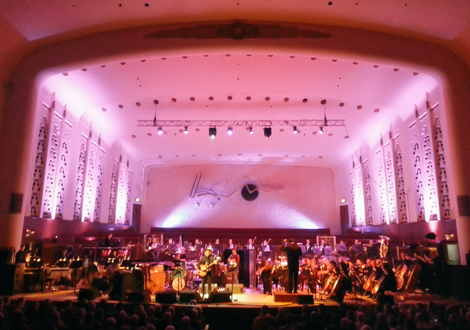 Arriving in her home town, at the always-impressive Liverpool Philharmonic, on this, the twelfth night of her first UK tour, she’s elegantly turned out in a long black lace number and enters to unequivocal approval from the most varied audience Getintothis has seen in a good while before unleashing those distinctive chocolate-coated pipes for the Bassey-esque Fighting Suspicions. She finishes with a chuckle. Before reaching for a mug of tea. Keeping it real. Or perhaps it’s lemon – for Becca (to her bezzies) has been struggling with flu – and the illness almost catches her off guard, forcing her to cough during the opening to Teach Me How to Be Loved. But she’s made of sterner stuff than the average wannabe diva delivering a stunning vocal which can’t help but draw comparisons to the all-conquering Adele. Like the Grammy-devouring North Londoner, label suits believe Rebecca is the real deal and can flourish Stateside too, and it’s no surprise to learn that on the eve of her Liverpool date it’s announced she’s signed a new US deal with EMI. Yet, Ferguson has arguably a wider palette than that of Adele. Sure, she may not yet have the emotional blockbusters in her armoury but skating her way through funky Motown (Mr. Bright Eyes), soul pop (Glitter & Gold) and stand-out track of the evening – the tear-stained heart-tugger Shoulder To Shoulder – Ferguson proves there’s plenty more in the locker than prime time television cabaret or ballad standards. Having told Getintothis pre-gig of her wishlist of artists to collaborate with, she then finds time to rattle through a quartet of barnstorming covers; the Kings of Leon U2-aping Knocked Up pierces through the air, an understated Sam Cooke‘s A Change is Gonna Come follows, a swaggering Rolling Stones Gimme Shelter is given the works, and best of all, Drake‘s Rihanna-infused tropical rumba Take Care. The latter is an inspired choice; where throughout proceedings Ferguson retained her characteristic girl-next-door loveliness, here she slips into a shimmying swagger – index finger air-tapping an imaginary keyboard while letting out a belly-aching laugh. It’s something you can’t help but crave to see more of. Too often she’s just oh too sweet – you’re imploring the inner performer to fully reveal itself – but maybe this will take time, or maybe she’ll always be that girl from Anfield. 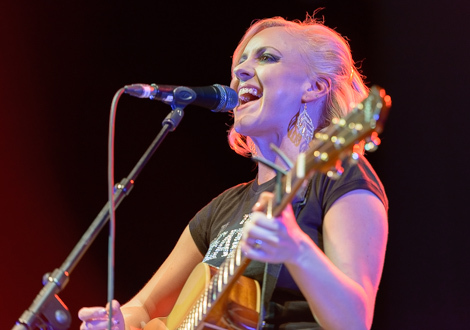 Into her stride, she reveals her sister’s crush on Justin Bieber has led to her former home being gift-wrapped in posters of the teen icon before belting out the playful Fairytale, punchy new single Too Good To Lose and the by-numbers pop of Run Free. A short encore of debut single Heaven and she’s done and dusted. 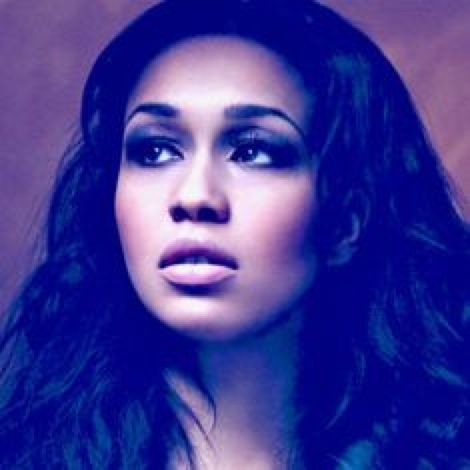 It’s early days for this 25-year-old rough diamond but on this evidence, Rebecca Ferguson is proving to be very much the real deal.